What is in a name? Everything! How a name is written however, is even more important. 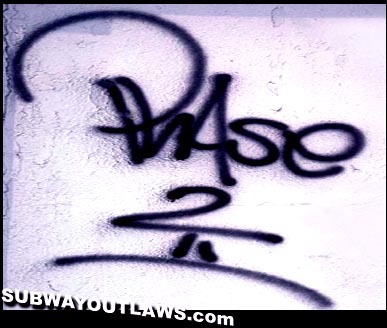 Hand writing is the first step in becoming a Graffiti writer. Writers put in much time and pride into there tags. 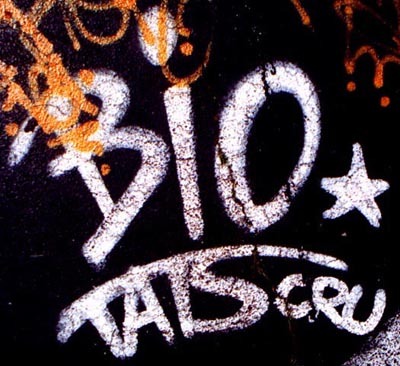 Writers developed there tag, to stand out from others due to the competition. In time, a writers tag became a label of who they were, and who they are today. ZEPHYR was a very stylistic writer throughout the 1980's. 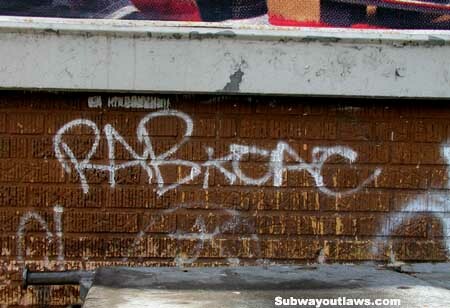 He had a very unique name, as well as, a very distinctive tagging style. 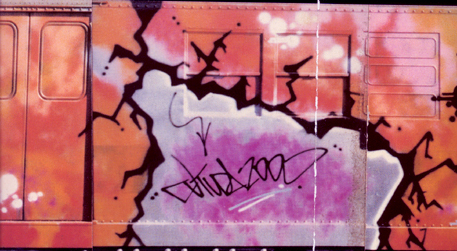 ZEPHYR tore up the insides, and the outsides of the New York City transit lines. ZEPHYR went All City, inside and out, and inspired many writers to enhance their hand style. 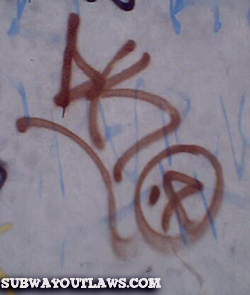 Above is an outlined tag, by legendary LSD 3. 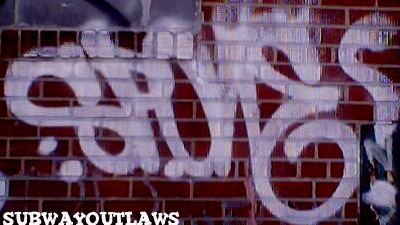 This photo was taken by KROOK on the Lower East Side, Manhattan. A true style innovator, whose tags went through several changes in his career as a writer. Whichever way PHASE 2 did it, he did it with class. is a very respected Broadway writer from the 1970's. 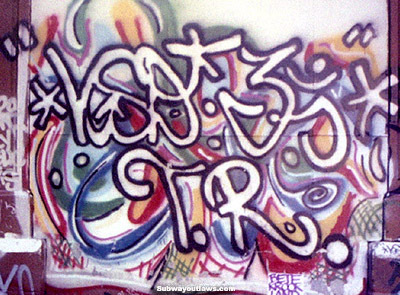 He returned to writing in the early 1980's, and like PHASE 2, changed his hand style throughout the years. held a heavy presence on the number 3 train line, as well as, many other lines in the mid 1980's (with his partners BC 1 NBA and POST). 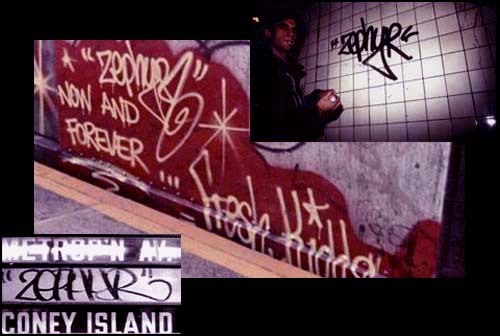 used a clean mid 1980's hand style to hit the New York City subways. along with the CAC crew, held a heavy presence on the insides of the F, N, GG and D lines. 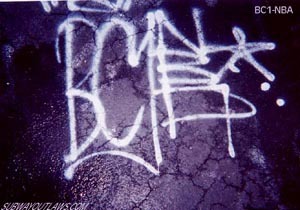 Members of the group included RAB, SLAM, KZEE, DOLE, DEN, SUEY and HP 173.
killed the BMT's with Throw-Up's during the 1980's. This photo was taken by BOM 5 in Queens, New York.